Our beds all feature down pillows and down comforters. 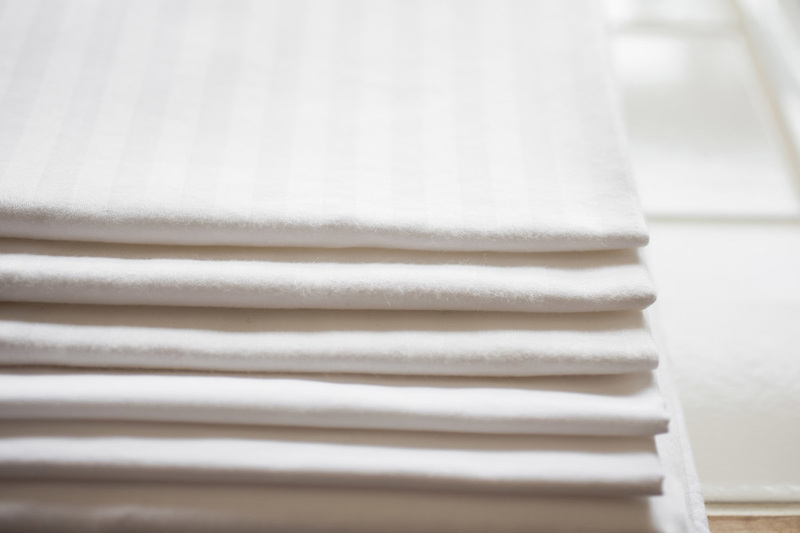 Our cleaning service will provide clean bed linens before your stay. If you would like additional linen replacement during your stay, please let us know so that we can help you arrange cleaning services with our staff. There is a fee for this service. You can find extra linen for the sofa bed in the hall closet adjacent to the living room. There is also a feather topper and down comforter for the sofa bed in the bunkroom closet.